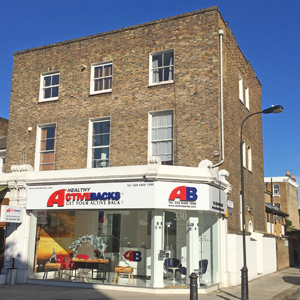 We are conveniently based in Hammersmith, West London, on the Chiswick/ Hammersmith boarder twenty minutes from central London and twenty minutes from Heathrow airport. Our clinic combines Chiropractic and Osteopathy with the state-of-the-art American soft tissue management system, Active Release Techniques. At ActiveBacks we take a very special approach to the type of care that we provide and look forward to meeting you on your first visit. Our clinic assistants are on hand to help should you require any further information, just pick up the phone or drop us an email. There is plenty of street parking available nearby for which you will require the Ringo parking app as the coin operated machines are no longer in operation. Below is some information that will help you find us.